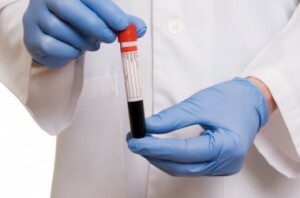 Home » About » Blog » Prostate Cancer: Is PSA Screening Worth the Trouble? In May 2012, the United States Preventive Services Task Force finalized a controversial draft statement recommending against routine prostate specific antigen (PSA)-based screening for prostate cancer. Praised by some, and harshly criticized by others, these revisions have sparked debate regarding the benefits of screening and early detection of prostate cancer, leaving men confused and unsure if they should ask their physicians about screening with the PSA test. A PSA blood test searches the blood for specific antigens that may indicate the presence of cancer. As with most differences in opinion, the truth lies somewhere in-between. The rapid dissemination of PSA screening in the early 1990’s has resulted in a dramatic increase in the number of prostate cancers diagnosed. More than 80% of men diagnosed with prostate cancer undergo treatment, most often surgery or radiation, and some suffer from long-term incontinence or impotence as a result. The concern of the task force and the medical community is that the harms of screening and subsequent treatment may outweigh the benefits of early detection, particularly for men with low risk, indolent disease. However, since the PSA test was introduced, prostate cancer mortality rates have fallen by nearly 40% and improved surgical and radiation therapy techniques have reduced the risks of long term side effects following treatment. Importantly, careful observation with frequent reassessment (active surveillance) of low risk disease has been shown to be safe and effective, demonstrating that not all detected cancers require immediate treatment. Abandoning screening outright will likely lead to many unnecessary preventable deaths, particularly in men at high risk for aggressive prostate cancer. Nevertheless, in light of the Task Force’s decision, physicians must embrace more responsibility regarding appropriate use of the PSA test. Careful discussion regarding targeted screening for men at high risk, the role of active surveillance, and the benefits of definitive therapy will help guide difficult patient decisions and achieve the goal of preventing death from prostate cancer while minimizing unnecessary over-treatment. Learn about the Risk Assessment Program at Fox Chase Cancer Center as well as prostate cancer diagnosis and treatment at Fox Chase Cancer Center. To schedule an appointment with Dr. Smaldone click here or call 215-728-2570.